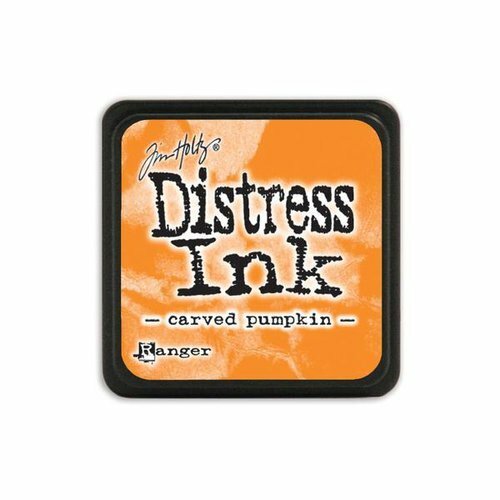 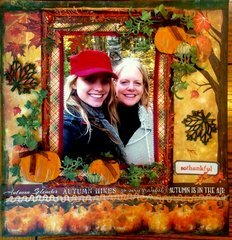 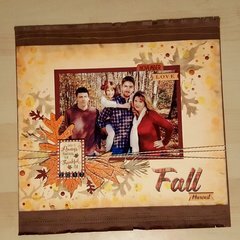 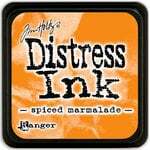 Add a bright and cheery color to your next project with the Carved Pumpkin Mini Distress Ink Pad by Tim Holtz for Ranger Ink. 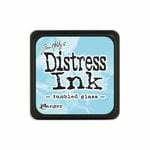 This ink pad features a 1.25" x 1.25" raised felt surface, which is perfect for inking your smaller stamps. 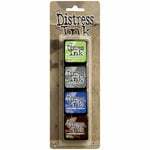 Included in the package is one mini ink pad that is water-based, non-toxic, and acid-free. 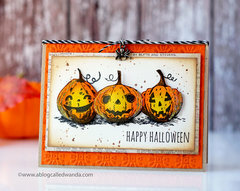 Of course the name has me thinking of starting my Halloween cards earlier. 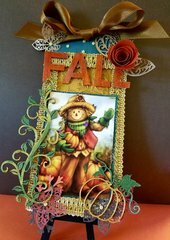 This is a great orange color that works well with the brown color.